I'm often asked for advice on hiring a lawyer. In fact, I refer about two dozen cases/clients out to trustworthy lawyers each year. Usually, they range in value from family law-types of cases to $100 million complex commercial disputes. I am in a unique position. While trained as a lawyer, I don't practice. I spend the majority of my time running A2L, a litigation consulting firm, and I publish what is likely the most widely read litigation blog. However, I think what really qualifies me to make great referrals is the twenty years I've spent working with top litigators both as a consultant and as a client. In that time, I've had a chance to see how 1,000 lawyers or so perform, and I've learned a lot about who is good and who is average. When someone calls and says to me, "I need a good lawyer," I need to know a lot more than that. In fact, I'm convinced that most people don't know what "a good lawyer" means exactly. I'm not even sure many lawyers know what makes a good lawyer. From the outside of the industry, however, I think it's almost impossible to tell who is good. "Good" is almost entirely based on word-of-mouth, and world-of-mouth is usually affected by some form of confirmation bias. That is, people want to recommend a lawyer they've used before, since making that recommendation helps them reinforce the decision they made to hire that lawyer in the first place. Knowing that someone is a SuperLawyer is good, being AV rated is good too, and even having a reasonable Avvo score is a plus. However, even among lawyers meeting these three criteria, I observe wide variations in talent. So, to give a good referral, I really have to both understand who is a good lawyer, and recommend the right lawyer for the situation. Negotiation talent. Far more important than any other trait, negotiation skill will get you the most value from a lawyer. Good lawyer-negotiators seek to leave all parties feeling like a reasonable outcome was achieved, rather than trying to run over the opposition. This does not mean they get you less than you seek. It means you get a fair outcome, and you feel good about your outcome. It means the outcome is also workable and has staying power. Good lawyers manage expectations on both sides of the "v." and are masters of selectively using leverage to help guide a dispute toward resolution. They have a warrior spirit that is fed by cleverly getting to the desired outcome. They play chess, not checkers. When a lawyer is not a good negotiator, disputes cost more and outcomes are less favorable. The problem is that this skill is very, very hard to evaluate unless you have seen someone conduct a negotiation. Good Paper Talent. 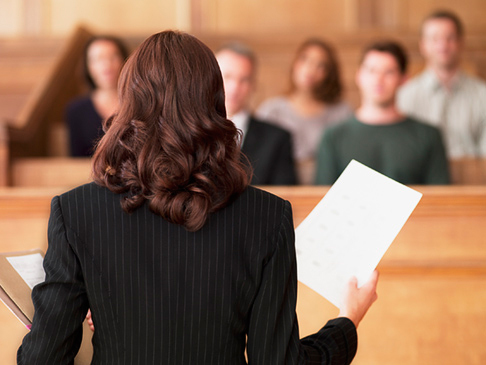 Good lawyers draft correspondence, motions and briefs that are well-cited and well-written. Typos are non-existent, and they maintain a sense of decorum unless it is truly helpful to do otherwise. Their emails are well-thought-through, and they avoid common grammar issues. They get things done on time, and they are familiar with using storytelling and persuasive graphics in pleadings to maximize persuasiveness. Of course, they get the law right, but that really should be a given. Presentation Talent. Good lawyers present well when they are being spontaneous, and they present fantastically well when they have time to prepare a trial presentation. They are confident. They are familiar with the latest thinking about litigation graphics. They are comfortable relying on litigation consultants and others for good ideas. Specific Experience. Just like a job interview, you really want to hire someone who has handled a problem like yours many times before. This is not always possible when hiring a lawyer as many problems are unique. Furthermore, if I had to balance negotiation skills vs. experience with a particular subject, I'd still very heavily weight my decision in favor a lawyer with superior negotiation skills. Reasonable Accessibility. Good lawyers make themselves available to you, and you should not have to beg them to talk with you. That does not mean you have a right to be high-maintenance, it means their availability should vary proportionally to the seriousness of what you are facing at that moment. Good lawyers are busy, but as they say, if you want something done, ask a busy person to do it. Notice I did not mention fees or rates in my top-five list. As my favorite outside counsel says to me, perhaps in a self-serving way, "there's nothing more expensive than a cheap lawyer." Fortunately, I happen to agree with him. You can probably tell that I enjoy making referrals, and, in fact, I happened to give three yesterday. My hope is always that I have made a good match for all involved, and so far, that's always been true. Please comment with other traits you think I overlooked. Free Download: What is the Value of Using a Litigation Consultant? Free Subscription to this Blog!